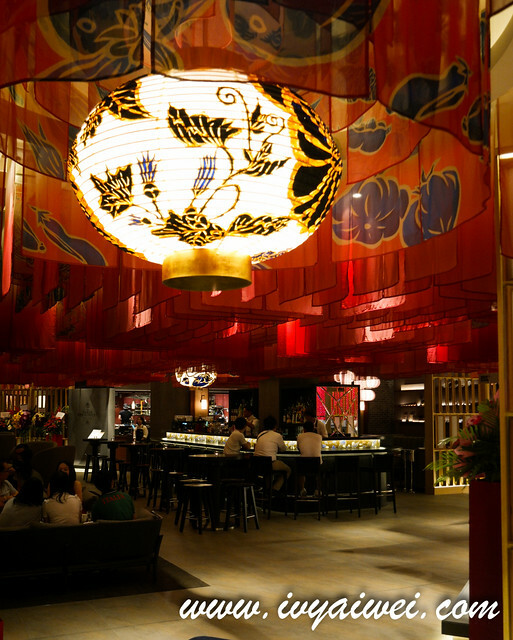 ISETAN The Japan Store 4F The Table is finally opened to the public and it brings the new excitement to the Japanese food lovers. 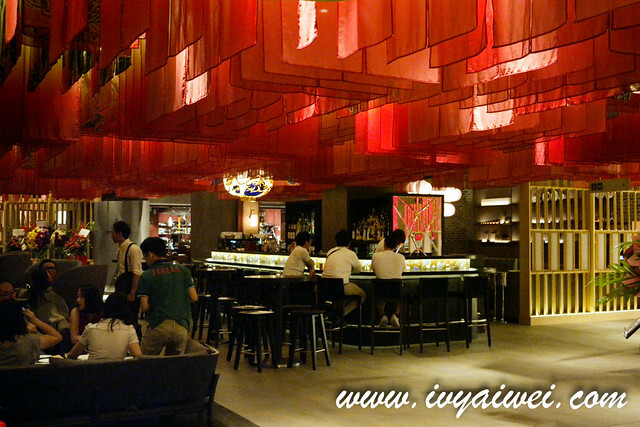 This whole new floor comprises of 5 top-notch Japanese restaurants ranging from sushi to tonkatsu, to yakiniku. 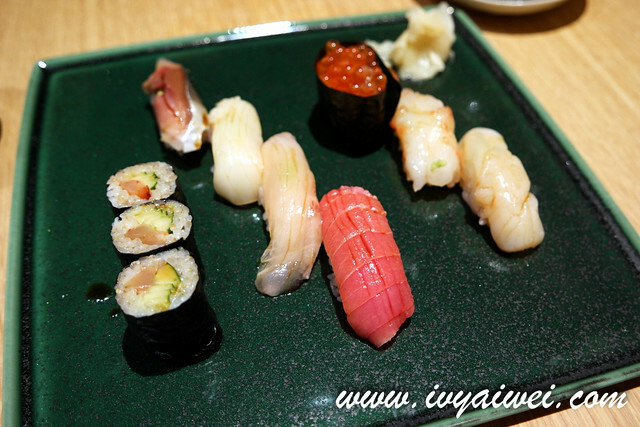 They are Sushi Azabu, Toriden, Tonkatsu Anzu, Yakiniku Toraji, and The Tokyo Restaurant. There is another restaurant coming soon, but it is still unannounced. 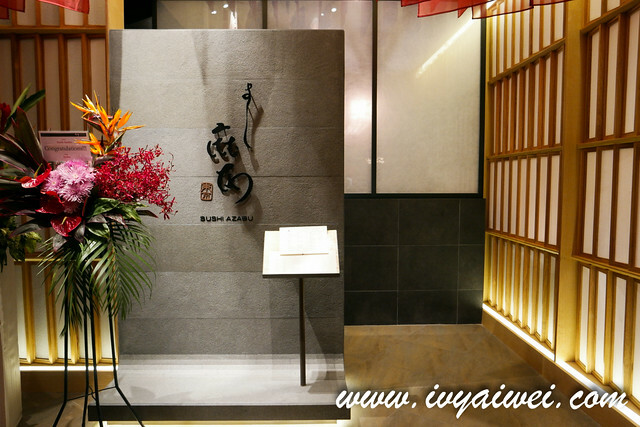 This Michelin starred New York based sushi restaurant is one that sit TOP in my list among all. 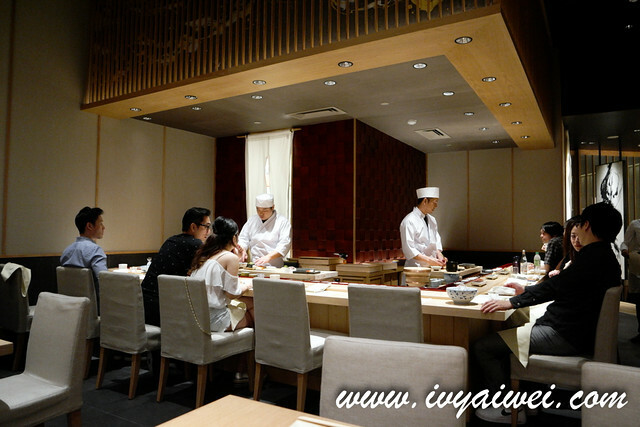 Headed by Chef Toshihide Terado (who is on the left in above photo), this is the sushi restaurant that serves heart-alluring authentic Tokyo style sushi with freshly imported fish from Japan. There are 40 seats in the restaurant. 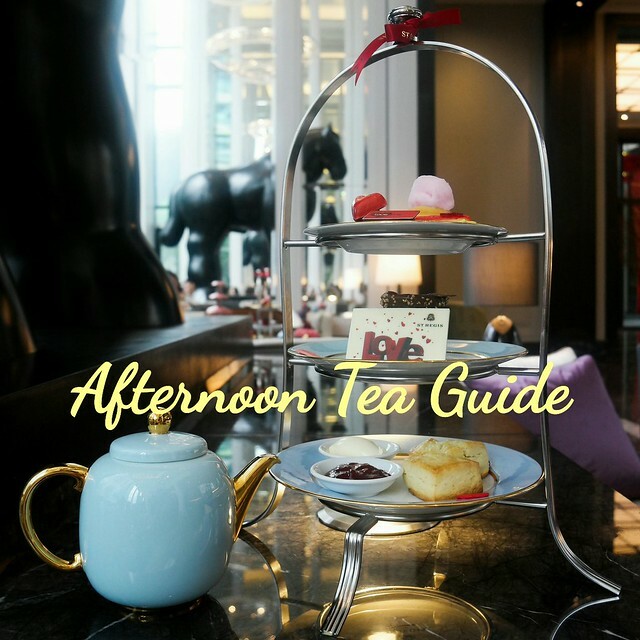 If you keen to be seated at the counter table, observing the action and the Chef’s work, it is advisable to make reservation beforehand as those are the spots that quickly filled up by patrons. 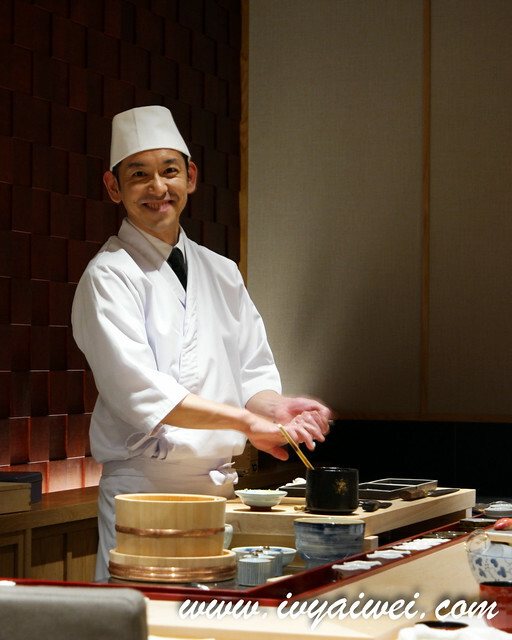 There are 3 types of Course set available in Sushi Azabu, namely Koi, Azabu and Chef’s Specialty Choice. 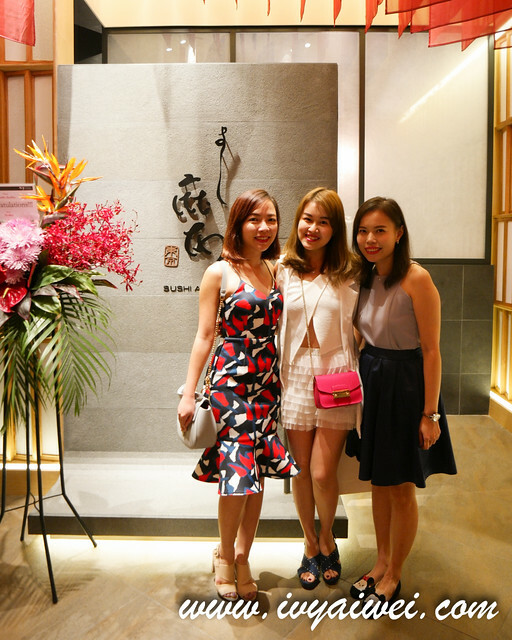 Chef’s Specialty Choice is priced at Rm 420 comes with chef’s surprises, the real omakase dining experience. 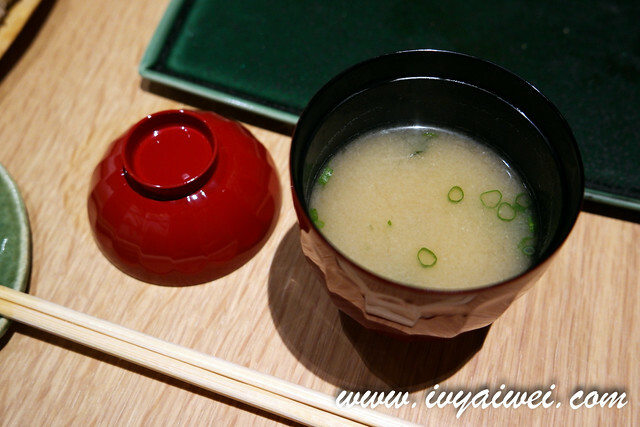 Koi (Rm 120) comes with an appetizer, 10 pieces of Nigiri and Miso Soup. 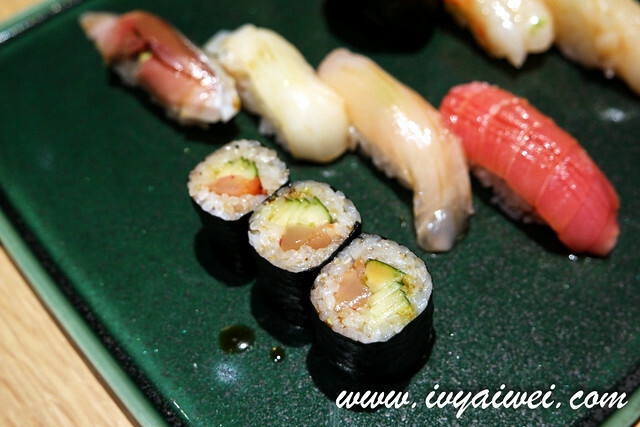 The nigiri are priced at Rm 6 to Rm 50 per piece. 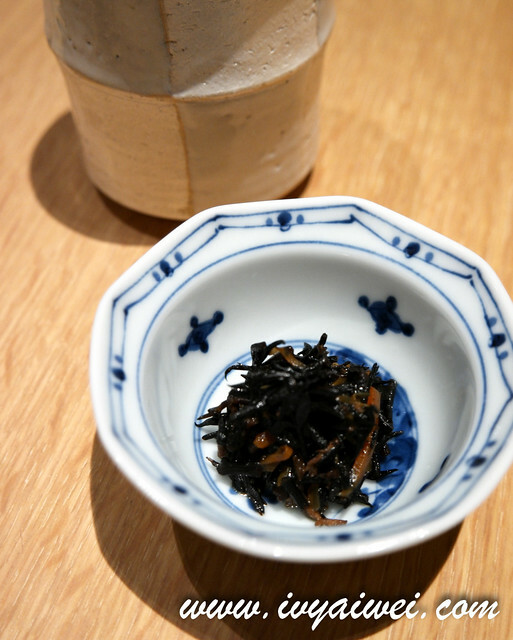 There is also a small selection of cold and hot appetizer which was not yet available during our visit. 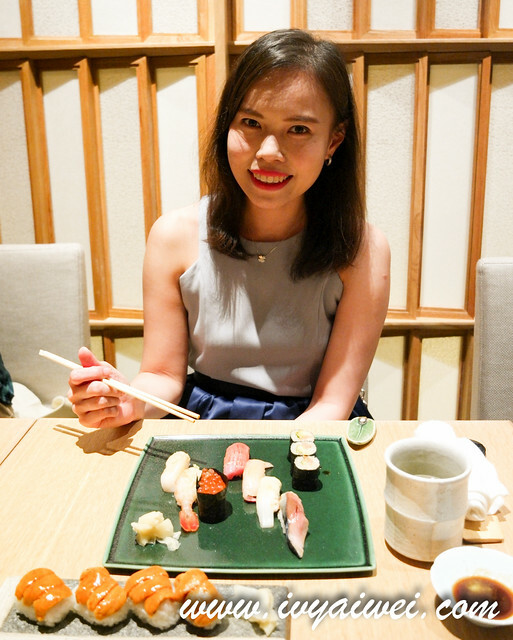 And we headed for Azabu Course (Rm 220) that is consisted of an appetizer, 2 kinds of sashimi, chawanmushi, palate freshener, 7 pieces of Nigiri, Makimono, miso soup and dessert. 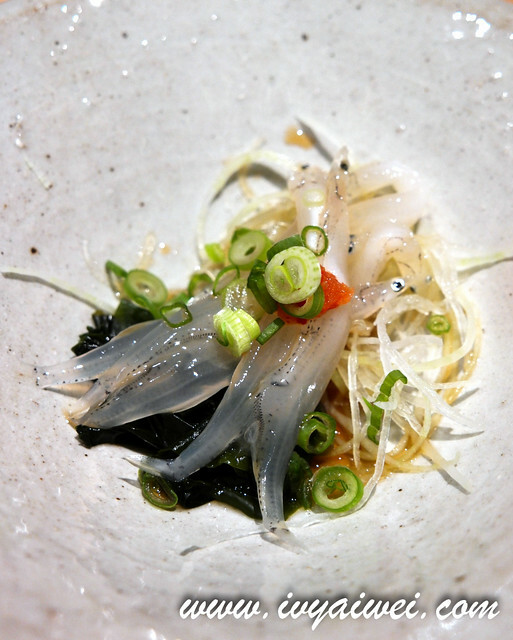 Appetizer – Shirasu (White bait) which was pairing with some chopped spring onions, seaweed, shredded radish, a little bit of spicy cod roe for extra kick and some seasonings. 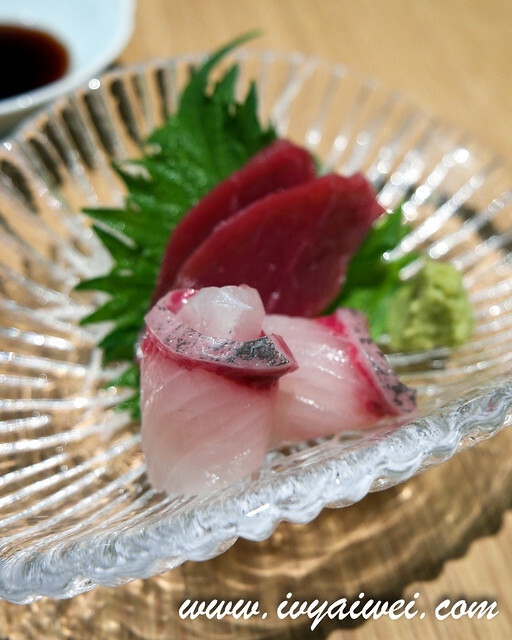 Sashimi – Hamachi (yellow tail) and maguro (tuna) were fresh and succulent. 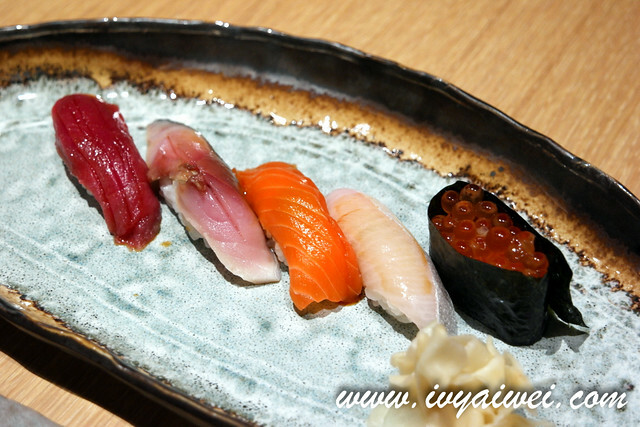 Especially the kampachi, the texture was very bouncy and fully packed with natural sweet flavours from the fish. 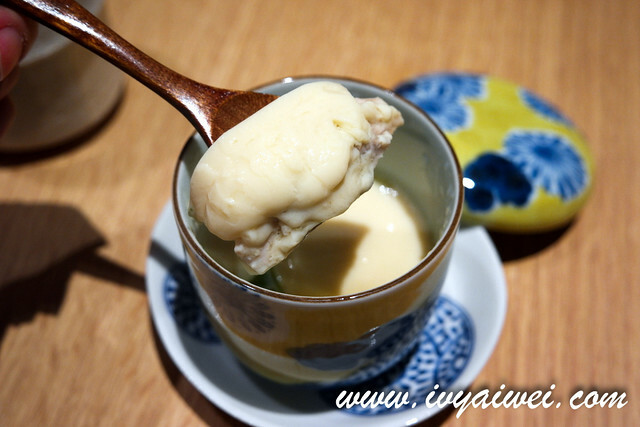 Chawanmushi, served piping hot, silky smooth steamed egg custard that filled with fish and ginko and flavoured with dashi. 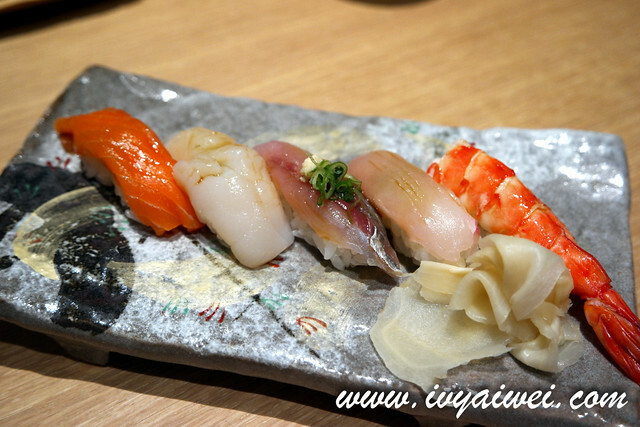 Our Nigiri came with Chutoro (tuna), Shimaaji (Trevally), Ika (Squid), Saba (Mackerel), Hotate (Scallop), Ebi (Prawn) and Ikura (Fish Roe). You will not need any additional of soy sauce for the sushi as the chef has swiped a paint of soy sauce on the fresh meat. 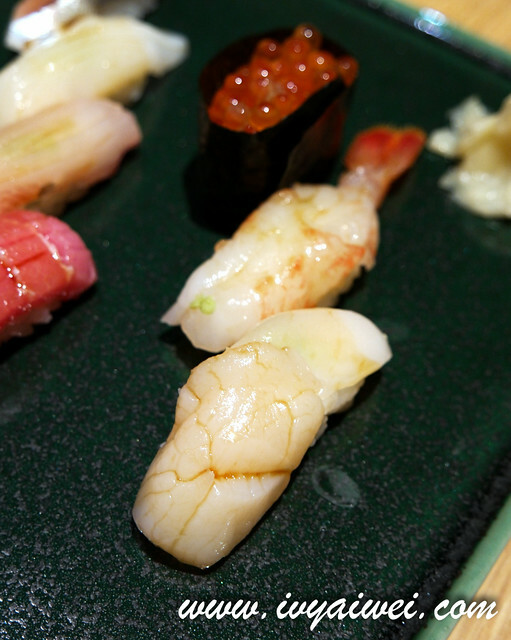 That’s the art of having Nigiri. I started off with chutoro nigiri and ended with makimono. 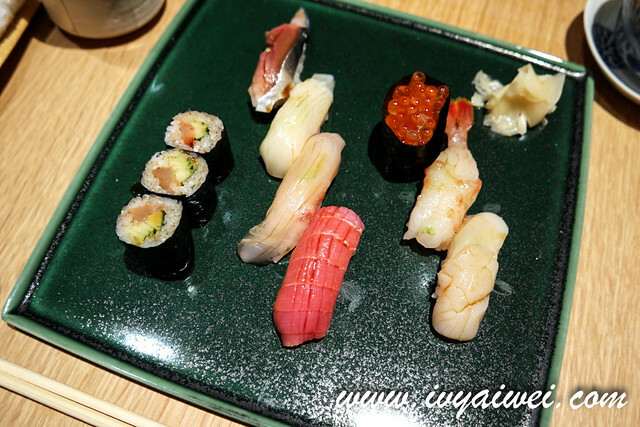 Love all the fresh seafood and the sweet hotate and Shimaaji; also that chewy bits in the makimono but the wasabi was slightly overpowering. 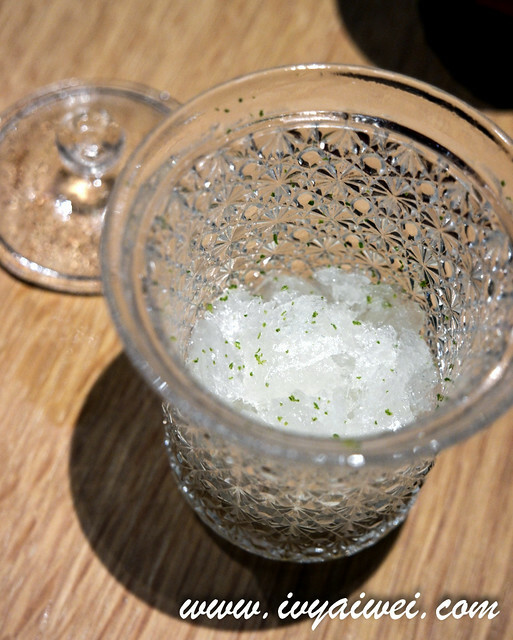 Dessert – tangy and refreshing yuzu sorbet to end the meal. 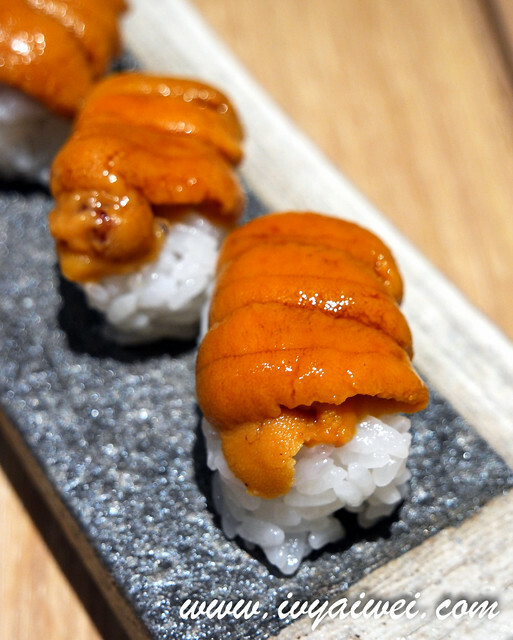 We also went crazy over the Uni (sea urchin) sushi (RM 50 per piece)!!! Really oh-mai-goddd…. 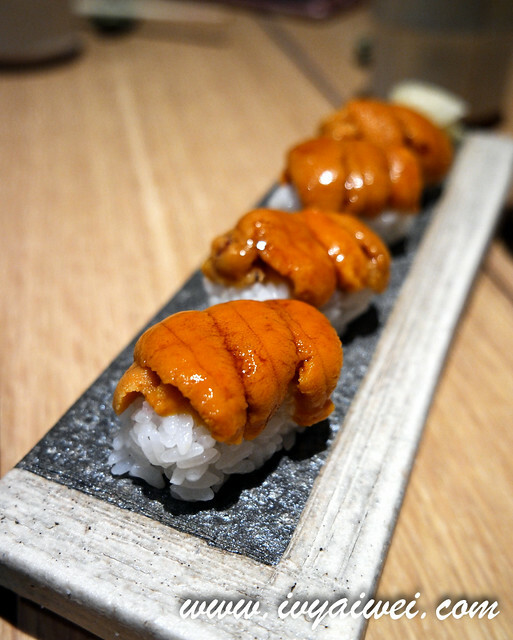 That mellow-y creamy beautiful sea urchin was something to die for! So sweet and creamy! One of us ordered the Koi and it was served with these as below. I am a happy girl, with my favourite sushi. Isetan The Japan Store 4F The Table is definitely a new interesting place for everyone. Can’t wait to try out the next few brands at this floor. everything looks good… the omakase price.. faints… haha! guess that’s the price for omakase *gulp* and I can only afford max at the middle range. 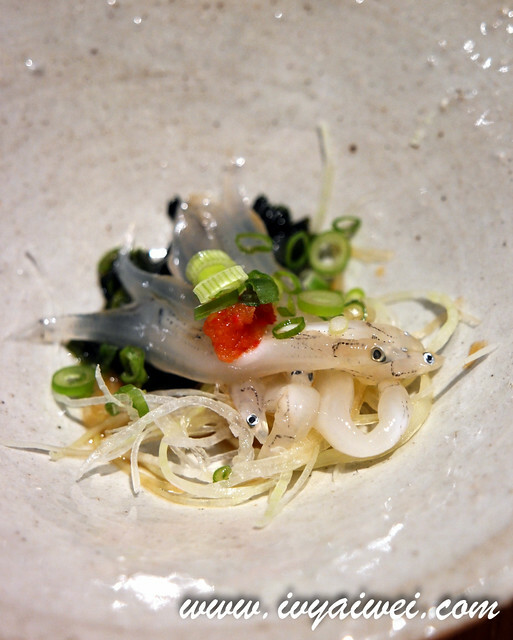 but to compare with Sushi Saito, this one considers ok bah? !